Every year on my birthday I consume massive amounts of Champagne. There is nothing more luxurious or rewarding for me then sitting down with a bottle of fantastic bubbly. It also makes the inevitability of growing older a bit more tolerable. Meeting each year head on with copious amounts of the best bubbly I can get my hands on just seems like the right thing to do. Ruinart started with none other than the Benedictine monk Dom Ruinart. Who through his dealings with the aristocrats of the French courts saw more and more interest in “wines with bubbles”. It was his nephew Nicholas Ruinart who really began to produce and market the Champagne. The family originally started with the manufac ture of cloth products until 1729 when Nicholas began producing and selling his Champagnes. In fact the house is the oldest known retailer of Champagne. The house remained in the family for over 200 years, and was purchased by Moet & Chandon in 1963 (now part of the larger LVMH company). Ruinart is also celebrating its 250th anniversary of producing the world’s first rose Champagne. First sold in 1764 and known as “Oeil de Perdrix”. Medium + Body 12.5% Alc. By Vol. 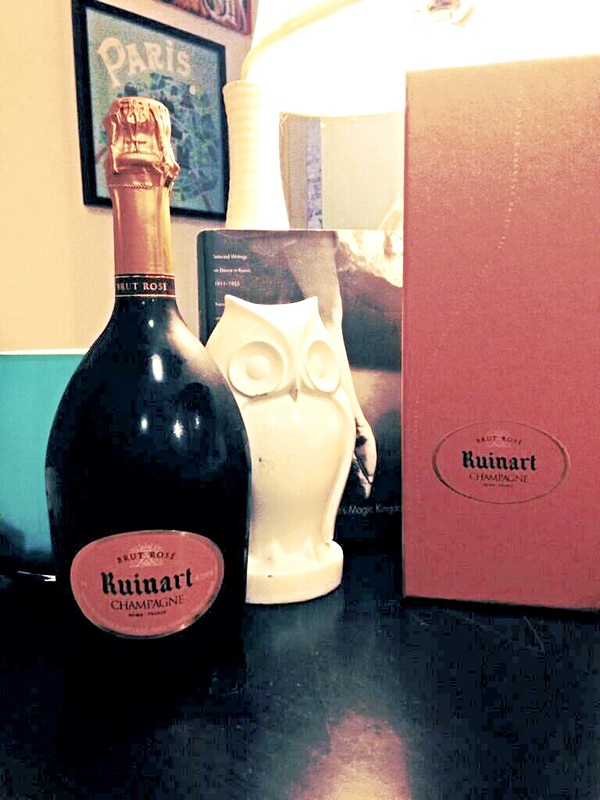 Ruinart produces one of my favorite Rose Champagnes hands down. Both the Chardonnay and Pinot Noir grapes come from premier cru rated vineyards with at least 20-25% coming from reserve wines from the past two years. 18-19% of the Pinot Noir is made into still red wine to later be blended into the assemblage to give the Champagne its unmistakable rose color. The nose on this Champagne opens with strong berry scents strawberry, raspberry, and cherry are all present. I also got slight hints of orange rind and lighter notes of rose petals. Yeast is present on the nose but not in an overwhelming way. The body of this Champagne is incredibly rich with flavor but its acidity is incredibly balanced making for a very enjoyable drinking experience. The fruit is not as noticeable on the palate as it was on the nose. Expressing more of an under ripened red apple and pink grapefruit flavor. This is probably do to its fantastic blending with a large amount of Chardonnay.